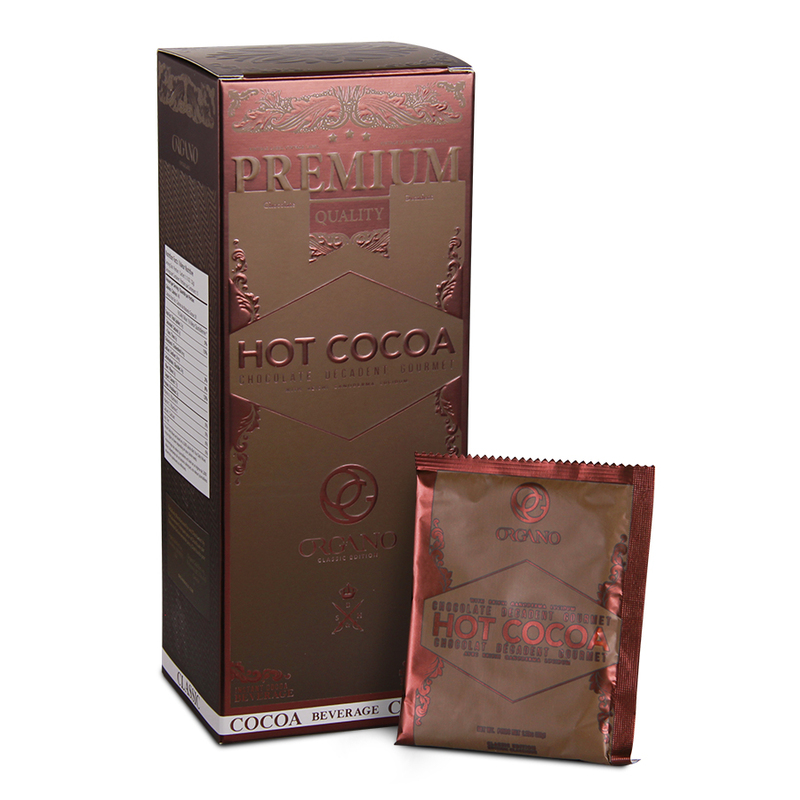 Organo™ Gourmet Hot Cocoa provides a delicious chocolate flavor with organic Ganoderma lucidum. Comfort and warmth in a cup that the whole family can enjoy. Organo™ Gourmet Hot Cocoa is a delicious blend of rich cocoa and ganoderma in a creamy, delicious drink mix that the whole family can enjoy. 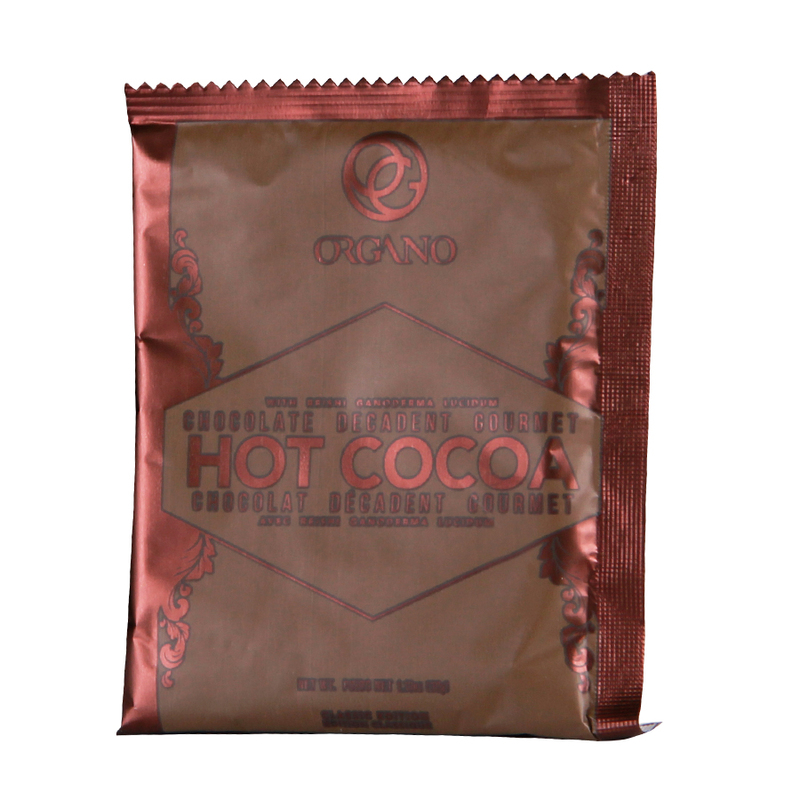 Organo™ Gourmet Hot Cocoa provides a comforting warm and silky drink mix that is rich in flavor. It can be enjoyed hot or iced for a delicious cocoa treat. Cocoa – The Latin name for cocoa—Theobroma—literally means, “Food of the gods.” Cocoa has many benefits including its rich taste. Cocoa contains hundreds of compounds, including polyphenols, a type of antioxidant. 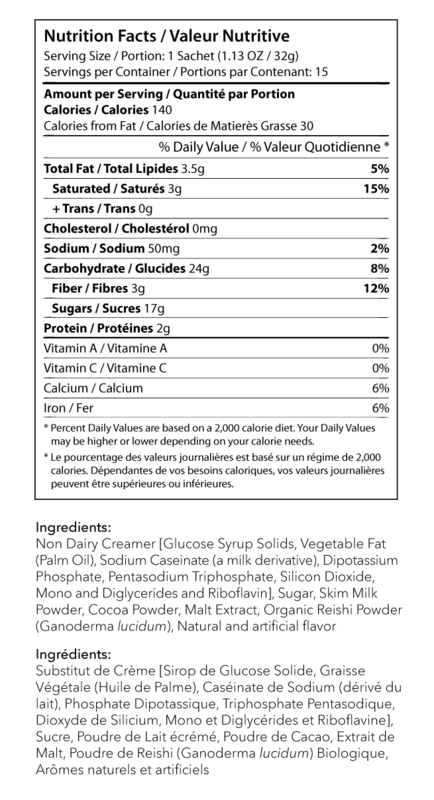 Fiber – each OG Gourmet Hot Cocoa has 3gr of fiber per serving. Organo™ Gourmet Hot Cocoa provides cocoa with ganoderma which naturally contains fiber. Ganoderma lucidum– also known as the red Reishi mushroom, this mild flavor adds a note of depth to the cocoa flavor and brings it’s own benefits. Ganoderma mushrooms provide triterpenoids and amino acids. Ganoderma mushrooms are ‘adaptogens’. Malt Extract – Malt extract helps give the OG Gourmet Hot Cocoa an ‘old fashioned’ chocolate flavor. Over 70% of the world’s cocoa comes from West Africa, which provides the bulk of cocoa used for mass-produced chocolate. A cocoa tree only produces about 1000 beans, or enough to make about 2 pounds of chocolate. A cocoa pod is about the size of a pineapple and holds approximately 30 to 50 seeds – just about enough to make seven milk chocolate bars or two dark chocolate bars. You can also add ice for a creamy cool cocoa treat.